As you scan the big, wide, wonderful world of the internet, it won’t take you long to realize that summer book lists are a dime a dozen. That being said, I’m a huge proponent of checking out anything that gets us interested in taking a break from social media to actually opening up what we each consider a good “read-worthy” book. 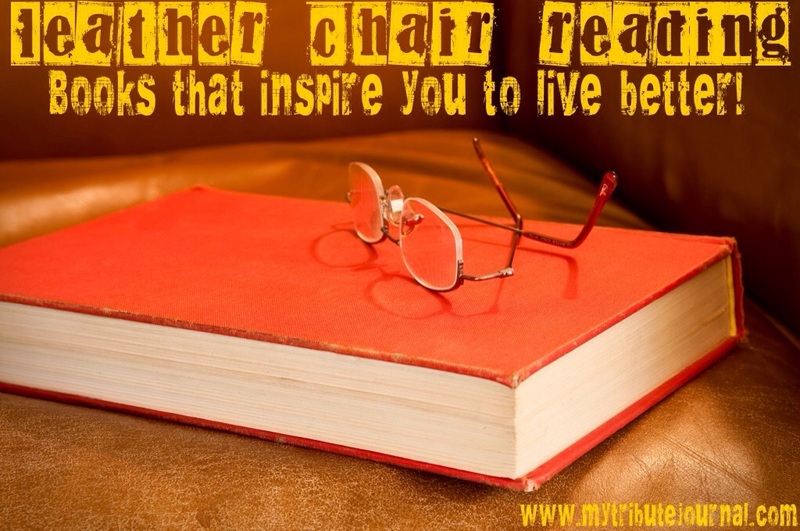 Here’s a few I’ve read lately that I know will make you glad you took the time to curl up in a comfy, secluded corner somewhere, to get lost in the entertaining wonders of the written word! Tribute Journal’s Summer Book List! This fun novel was a recent pick for a book club I attend…and boy, did I ever love every entertaining, laugh out-loud moment it provided! This delightful book was inspired by the author’s own experiences of being the shortest girl in her class throughout her elementary grade school years, as well as her adventures of playing a Munchkin in summer theater production of “The Wizard Of Oz”. 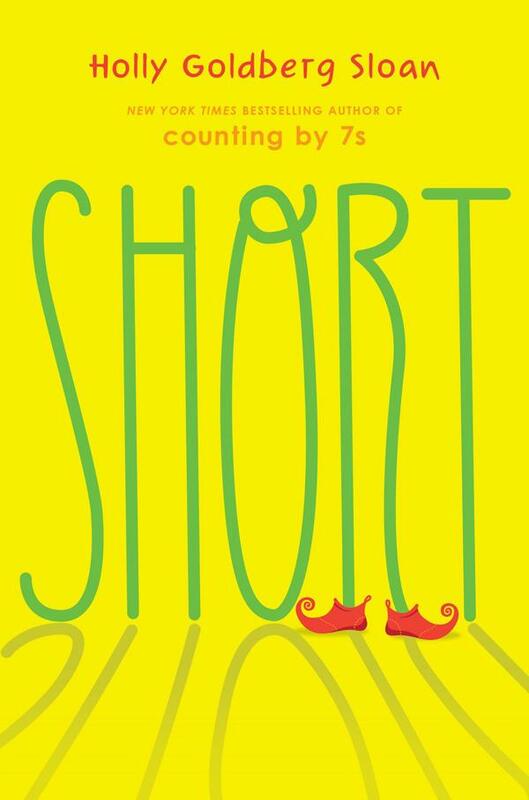 The endearing story of “Short” is told through the matter-of-fact, pre-teen eyes of Julia Marks. Discouraged about her lack of stature and grieving the loss of her beloved dog, Ramon, Julia isn’t looking forward to her summer. To make matters worse, her mother signs her and her younger brother up to audition for a semi-professional community play of the “Wizard Of Oz” …and what does she get cast as? That’s right, a munchkin! During the course of the nearly daily rehearsals, Julia is introduced to the world of theater and the quirky cast of characters who make a lasting impact on her young life. I grew a lot this summer. Not on the outside, but on the inside. And that’s the only place where growing really matters. Aside from the ever charming character of Julia, I loved Julia’s neighbor, Mrs. Chang, a former prima ballerina, who Julia has no trouble convincing to become involved in the theater production as costume designer extraordinaire; she is a kick and even though she’s well into her 70’s, she eventually talks the eccentric director of the play into letting her and Julia be some of the flying monkeys who are strapped into make-shift harnesses as they fly across the stage in what becomes a highlight of the play. Another subtle, yet wonderful relationship development that takes place in this book, is the new-found respect Julia finds for the tireless efforts of her mother as she starts to realize how much her mom just wants what’s best for her family…any mother can certainly relate to that plot line!! I smile at mom and tell her something I’ve wanted to say all summer. “Thanks, mom. Thanks for making me try out for this play.” I think I might have made being a mother totally worthwhile for her. I will never forget the look on her face…mom has tears in her eyes and she’s smiling. It’s an amazing look. I have to remember how powerful it can be to say thank you. Especially to the people you live with. They probably least expect it. As an adult, I dearly loved this book, and my two older granddaughters are also enjoying it as we read it together this summer. My husband gave me this beautifully written book as a gift this past Christmas. 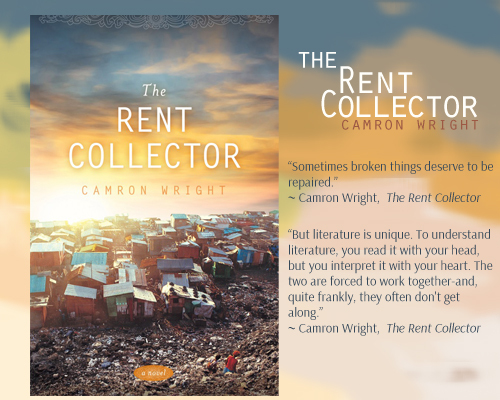 My sister-in-law, who is an avid reader, suggested it as a “must read” when he inquired about a good book he could give me…and indeed “The Rent Collector” is a mesmerizing book to read! The story is set in Cambodia just after the decline of the communist Khmer Rouge regime. The two main characters, Sang Ly and her husband Ki Lim, live in Stung Meanchey, the largest municipal waste dump in Cambodia. Day to day life is hard enough when you have to make a living scavenging through the trash for recyclables, without the extra worry for their chronically ill child, Nisay, and the added expense of the medicines that don’t seem to be working. Although this story line may sound grim, the author’s eloquent message throughout the book is one of hope, determination and redemption. Sang Li’s quest to save her son’s life takes an unusual turn when she finds out that the ill-tempered woman who collects their rent, Sopeap Sin, has a secret that could eventually help Sang Li save her son. The Rent Collector powerfully illustrates how anyone can quite literally “rise from the ashes” so to speak, in the most unlikely of places. Things get terrible and things get bad, but we always look to better times; I think that is how we should always live no matter our circumstances. I guarantee that this book will have a powerful impact on how you view your own life and how you choose to resolve the challenges you face. This book is a follow-up to Hal Urban’s best seller and one of my very favorite books, “Life’s Greatest Lessons: 20 Things That Matter Most”. (You can read my journal entry on that book here.) Hal Urban’s books are so joyful to read; he has the rare ability to entertain and enlighten without getting preachy. As a former high school teacher, college professor, and single father who raised three sons, his stories are insightful and the wisdom he’s gained through his own process of self-evolvement can’t help but inspire you to more fully develop your capacity to live a rich and rewarding life. I keep both these books handy so I can use them as a ready reference for those times when I find myself in need of a little extra “food for the soul” –so to speak! I recall vividly that while on a media tour for my book, “Life’s Greatest Lessons: 20 Things That Matter Most” –all every radio or TV host wanted to talk about was the chapter on making choices…you would have thought that I’d made some startling discovery that was going to dramatically change millions of lives. But the truth is, choices have been around for as long as mankind. It’s truly amazing how many people are either unaware, or forget, that they’re making choices all the time–little ones that are fairly unimportant, and big ones that can change our lives for good or for bad. 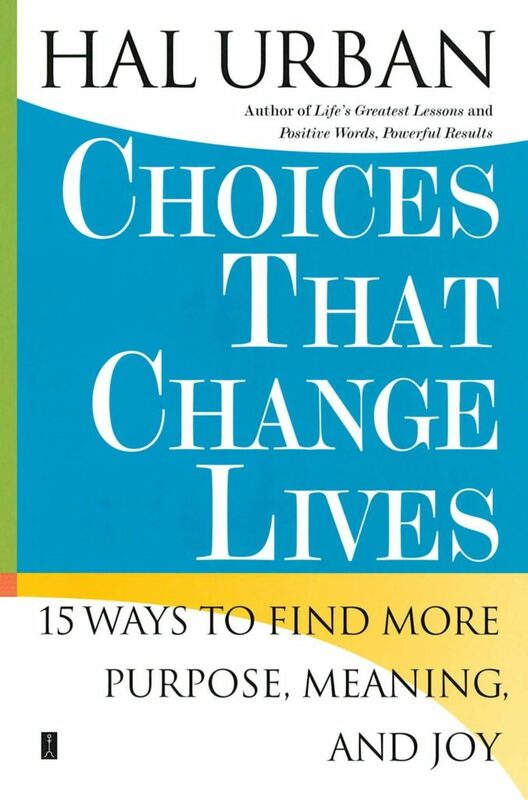 This book is about some of those big choices. When I first read this book, I just picked out the chapters with the characteristics and choices I thought I needed to work on the most–I mean who doesn’t need to take a good close look at being more humble, patient, kind and courageous…right? However, when I picked up the book again and reread it from front to back, it dawned on me that so many choices we make in life are interrelated and applied simultaneously as we strive to live our best lives. While reading this book, you may be thinking the same thing I was thinking while writing it. What person could possibly practice all these qualities and virtues every day? I thought of two who probably did–Albert Schweitzer and Mother Teresa. The world doesn’t produce a lot of people like these two Nobel Peace Prize winners, but it does produce a lot of regular people like you and me who want to grow, who want to be the best persons we can be, and who want to lead lives of joy. I hope you are all having the best summer, full of all the things you love–I also hope it includes a good book or two! My cute dad, who always seemed to have a book in his hand, loved this quote… With this thought in mind, I’d love to know of any good books you’ve read lately or are reading now that have made an impact on your life.